PGAgolfbets is a website providing golf betting tips and advice to the casual golf betting punter. 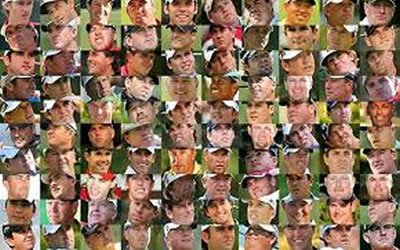 The golf betting tips provided by PGAgolfbets are for PGA Tour events only. For many golf enthusiasts a small golf bet can greatly enhance the viewing enjoyment of a tournament. PGAgolfbets endeavours to assist the selection process by providing objective opinion, analysis and evaluated golf betting tips. The website is updated weekly to provide general information on Event Form, Current Form and a Stats Analysis based on course setup and previous results. This information can assist in making an informed golf betting selection. PGAgolfbets also provides its own golf betting tips which one can compare against their own selections. It is important to remember that there are no certainties in gambling and the information contained in this website is for general information purposes only. Golf Betting Tips – Who & How? The 5X5 forms the foundation for the selection process. It is simply a comparison of results for the last 5 strokeplay events together with the last five years of event results. Ideally you are looking for a player who has Current Form coupled with good Event Form. What is considered reasonable in determining a player’s Current Form is a subjective argument. At PGAgolfbets it is taken to be a player’s performance in the last 5 strokeplay events on the PGA Tour. For analysis purposes the Event Form and Current Form are both broken down into Wins, Top 10’s, Top 30’s and MC (missed cuts). What are the characteristics of a course setup. Is it long, short, open, tight, protected by rough, bunkered, small greens etc. Depending on where you believe the key emphasis is, you can profile the players who will more than likely perform. Intrinsically linked with the above are Player Statistics. They can help profile an identikit winner by analysing the most relevant statistics for a particular course and setup. Performance indicators that are always worth noting are Driving Distance, Driving Accuracy, Greens in Regulation, Strokes Gained-Putting, Scrambling and Scoring Average. The PGA Tour website provides a wealth of information on player statistics and is a must visit when making a golf betting selection. Depending on the course and weather it is sometimes worth looking at the morning section of players. They often get to attack a course when it is most accessible with calmer and receptive conditions. Some courses are noted for not being a ‘catch-up’ course and those with a favourable morning draw can sometimes translate this into a scoring advantage. The great unknown! The weather can seriously influence a tournament’s scoring. Depending on conditions it can impact the morning-draw bias. Afternoon conditions are usually tougher with windier and firmer conditions. However significant weather fronts can distort trends between morning and afternoon scoring.